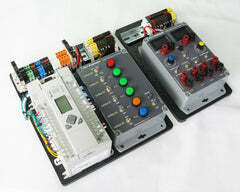 This is a good starting place to learn Programmable Logic/Automation Controllers. It does not assume that the reader already understands basic industrial controller programming. 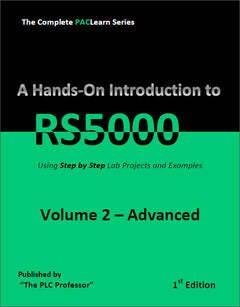 All of the content in the Collegiate Edition is the result of compressing two manuals, 20 - RS5000 for the Beginning and 22 - RS5000 for the BeginnerPLUS. 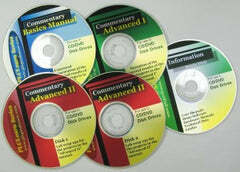 You do not want to purchase those two manuals in addition to this one, 90% of the content is repeated. 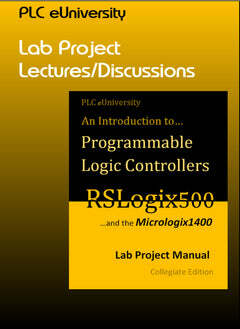 This manual, Fundamentals of RSLogix5000 and the Logix Engine, is just that. It starts from the most fundamental concepts and guides you step by step, creating a new project, adding I/O modules to your I/O configuration, creating tags and writing rungs of logic. We do not accept any responsibility for the reader’s ability to access the appropriate software and hardware to complete the projects in this manual. 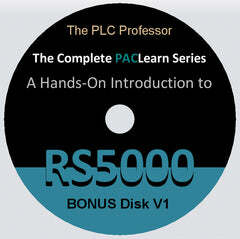 With RS5000, you will have to invest monetarily in the learning process to a much higher degree than for RS500. 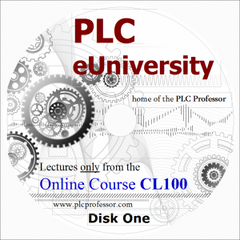 The Complete PLCLearn Series is based upon the least expensive Micrologix1000 or the RS500 Simulator comprised of the Micro Starter Lite, RSLinx Lite and RS500 Emulate which is software pro gratis from Rockwell Automation. 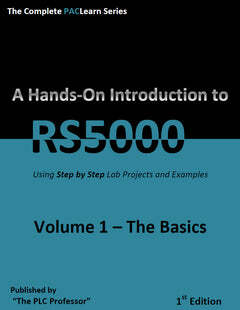 With RS500 there is enough “free” stuff to complete the learning process. 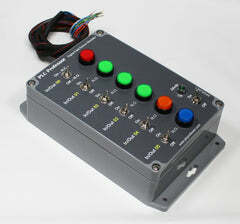 With RS500 you could use the MicroLogix1000 or the simulator, whereas with RS5000 the least expensive option for hardware is purchasing used from the web and there is no free version of RS5000. Because of this monetary challenge, we will do most of the labs with CompactLogix and a few with ControlLogix. 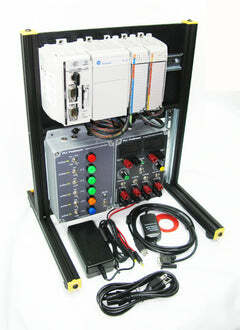 Keep in mind that almost anything that you can do with CompactLogix , you can also do with ControlLogix. Setting aside any differences in I/O part numbers, a 16 point digital output module serves the same basic functions in code whether it is a 1769 backplane or a 1756 backplane. 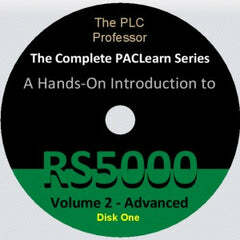 The Complete PACLearn Series is the most effective, least expensive and yet, the most complete training package available in the Programmable Automation Controller arena. To support that claim, it must provide real hands on experience, not product feature demonstrations, all lab exercises need to be step by step and fully illustrated; the lab exercises must address the less apparent nature of the products as well as the obvious. Nothing builds confidence like seeing it work with a real PAC. 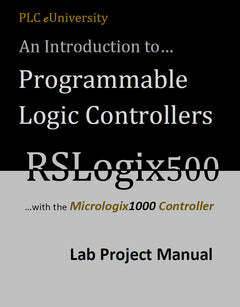 It is also an exhaustive introduction to RSLogix5000 for the student, electrician, technician or engineer that is unfamiliar with the Rockwell Automation controllers that run the Logix engine and needs a quick start. This manual is a 346 page, full color, step by step guide. 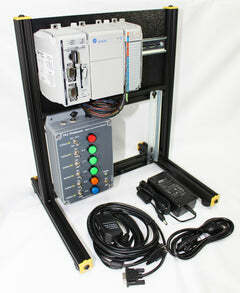 It covers the use of the RSLogix5000 graphical user interface, creating a new project, adding I/O modules to the I/O configuration, creating tags (variables) and using them with ladder logic diagrams. All of the most basic instructions are covered in depth, exposing the unapparent nature of ladder logic diagrams and these instruction while explaining the apparent function of these instructions. XIC (true if ON), XIO (true if OFF), OTE (output energize), OTL (latch output), OTU (unlatch output), BST (branch start), NXB (next branch), BND (branch end), TON (delay ON timer), TOF (delay OFF timer), RTO (retentive delay ON time), RES (reset timer/counter) and the ONS (one shot) are well covered, discussed and exercised in this volume. Some of the more advanced instructions: NEQ, GRT, LES, LEQ, GEQ, MEQ, LIM, ADD, SUB, MUL, DIV, MOV, MVM, AND, OR, XOR, SWPB, NOT and BTD are used in practical examples. Look closely at the additional images with this product, the table of contents and sample pages. A large section of this manual was spent on covering I/O configurations in the advent that you are using a different set of I/O modules than what we developed the manual with. 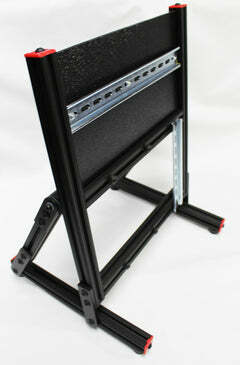 This manual covers, in detail, a practical application using conveyors as the object of your programming. You will write and test a very realistic program to control these conveyors. 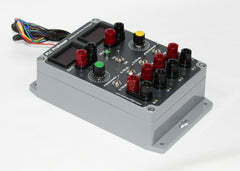 The manual was written with the Universal Digital Field Device Simulator in mind, but any combination of digital input and output modules will suffice to complete the lab projects. The last section provides an opportunity to develop a program for a challenging manufacturing station with complete coverage of suggested solutions.